You're invited to enter a world of catastrophe and follow a generation plagued by its towns demented past. 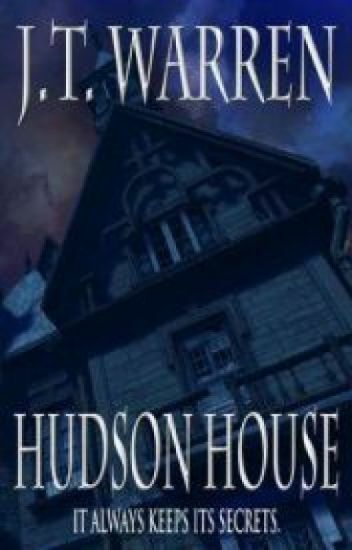 Embark on a haunting and disturbing adventure with three young boys as they explore the menacing halls of the Hudson House. Discover the house's demands and learn its chilling secrets. Be the first to see what it hides in its dark depths. Hudson House is collecting and you're past due. As an emerging fashion designer, Sasha Emanuel is on the verge of the fame and success she's worked a lifetime to achieve. If only she was as lucky in love. Enter gorgeous singer and actor, Miles Parker. He's looking for a woman to complete the package and Sasha fits perfectly...until a secret from her past threatens to pull the curtain on their budding romance. Will Sasha leave her baggage behind and a chance on a new journey with Miles or will old habits prove too hard to break. **** This is a work I'm looking to publish, but there are some kinks I need to work out. Here's where you come in. First, add to your library! Second, if you choose to take a chance and read this, please give me your honest feedback on the characters and plot. It will be much appreciated. Oh yes, there will be some tasteful "sexiness" taking place so...you've been warned, haha! A girl, a curse, and a journey..
Will she be able to save her family and herself, ending a century's old curse? Edward and Mona Williams are two twins who's dad is rich, and they live in a manor. Like all twins and siblings, these two are very mischievous. They are also very curious. And something seems very wrong in the manor! Doors are slamming, kitchen drawers are opening and closing- by themselves. There is a ghost in the house! COMPLETE. This is a prequel to HUDSON HOUSE, an upcoming YA horror novel which will be available in paperback. Revisit HH and witness it's enticing invitation through the eyes of a menacing murderer. See how it seduces it's victims. The mannequin an emotionally scarred couple finds by the side of the road in a trash heap looks too much like their dead son. Is this a delusion or an otherworldly connection? Meet Nicky, the girl who has the best circle of friends she could ever ask for. When Luke takes interest in her, her life fills with more dramatic events than she was ever used to. Her  and her friends head off on a road trip that ends as a tragedy. 1st Place Winner Of The E-Awards! Noah George Styles. 17. All American Boy next door. Blue eyes. Cheeky smile. High School Footballer. Precise 4.0 GPA. Rich Parents. The 'Outgoing-Perfect-Player'. Max Andrew James. 18. Awkward Brown haired boy with grey eyes. Storyteller. Coffee-house Singer and Musician on the weekends. The 'Reserved-New-Guy'. They say a heart is an ocean. Everyone want love and Happiness. Their deepest desires. Join Noah and Max and their friends on a journey to experience their 'Anchored Desires'. Another story that emphasises on Love, Fear, Heartbreak, Friendship, Dreams and many more real life emotions and situations. Give Noah and Max a chance at Love. Austin Butler as Noah George Styles. Andrea Denver as Max Andrew James.